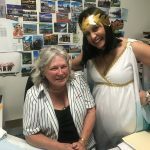 To continue on the momentum from its Top Achievers 2019 trip announcement last month, Insight Vacationscelebrated by creating its very own Greek Week for travel agents. Throughout the past week, select Insight Vacations Sales Managers dropped into stores nationwide in themed outfits with Greek treats and sweets for agents, while also educating them on Insight’s new Greek Island Hopper holiday for 2019 – a 12-day Regional Journey exploring the best of Athens and the most iconic islands. Starting in Athens, guests spend their first day with a Local Expert to visit the ancient sights of the Acropolis and Parthenon. The adventure continues by sailing across to scenic Mykonos to spend another four days to explore the classic white and blue lined streets, sun-kissed beaches and enjoy fresh Mediterranean cuisine including delightful Welcome and Celebration Dinner. 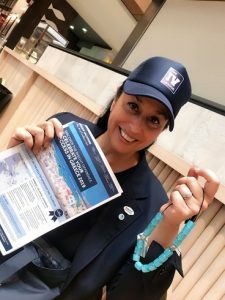 Insight Vacations is reminding its top achieving travel agencies that a remarkable trip to Greece can be won – the ultimate reward for the brand’s best supporting partners. *To qualify agents must be one of the highest 20 selling stores or one of the three highest growth stores to book an Insight Vacations or Luxury Gold 2019 departures by 28 February 2019.